tu advocata peccatorum.O Maria! O Maria! Virgin most intelligent, Mother most merciful. O Mary, prudent Virgin, ready with oil in your lamp, teach us how to be vigilant in our prayers and meditations as we await the coming of your Son Jesus. Always be our guide and teacher and let your benevolence be an example to us. Instil in our hearts the love for the Church and the Salvation of souls. 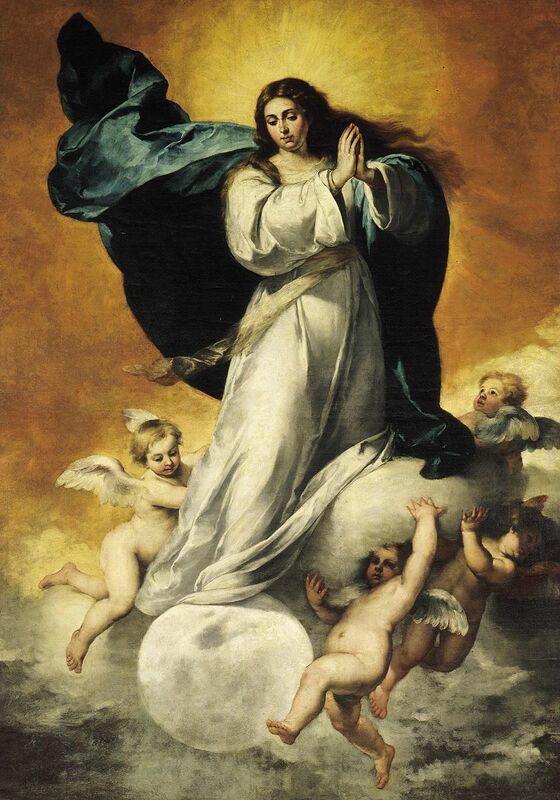 O, Virgin Mary, sun without blemish, we rejoice at the fact that in your Conception God conferred on you a gift that all the angels and saints together did not possessed. We thank and admire the great liberty of the Most Holy Trinity that granted you this privilege. Intercede for us to correspond to divine grace without ever abusing it. Hail Mary.